The "Implement Series" was part of a solo exhibition at the Sherrie Gallery in Columbus, Ohio from June through August of 2006. The exhibit was listed in the December 31 issue of the Columbus Dispatch as one of the best visual arts events of 2006. American Craft also featured the exhibit in its January 2007 issue. 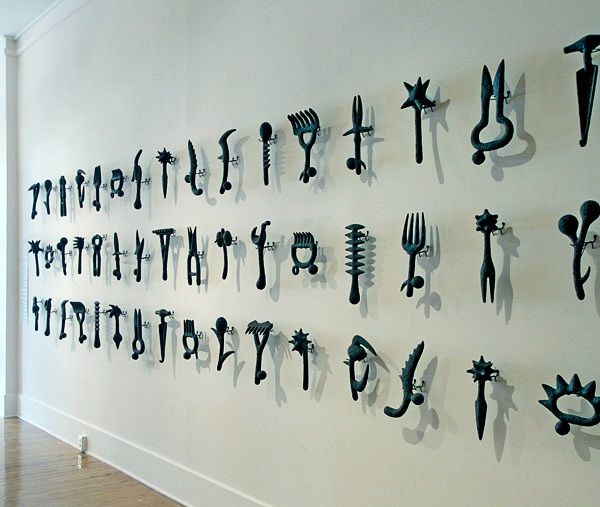 The "Implement Series" installation included 54 pieces and spanned 23 feet of wall surface.